If you peek into your store room you would get a big pile of old and retard furniture and other uselessly thrown items of the house. 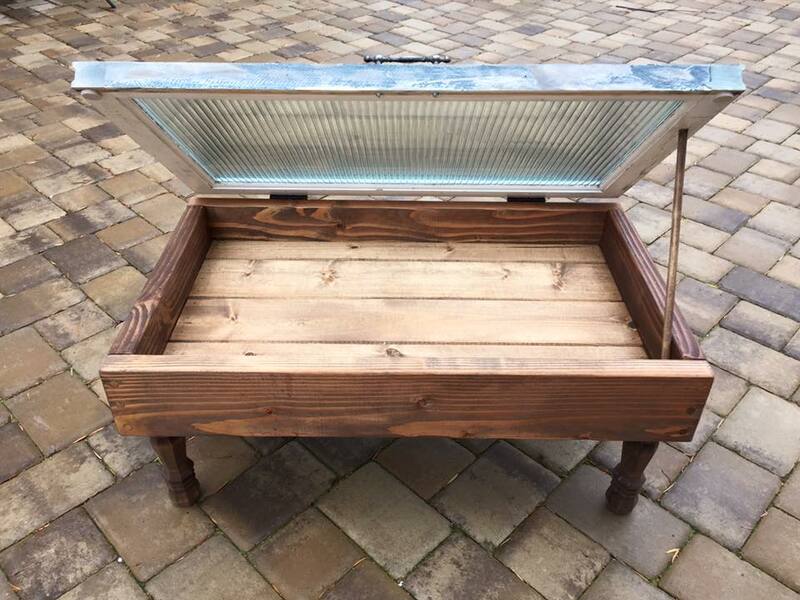 Let me tell you that if you ding an old glass window there in the pile up pick it up as we are going to show to an amazing way to recycle it into something not only functional but very creative and gorgeous too. 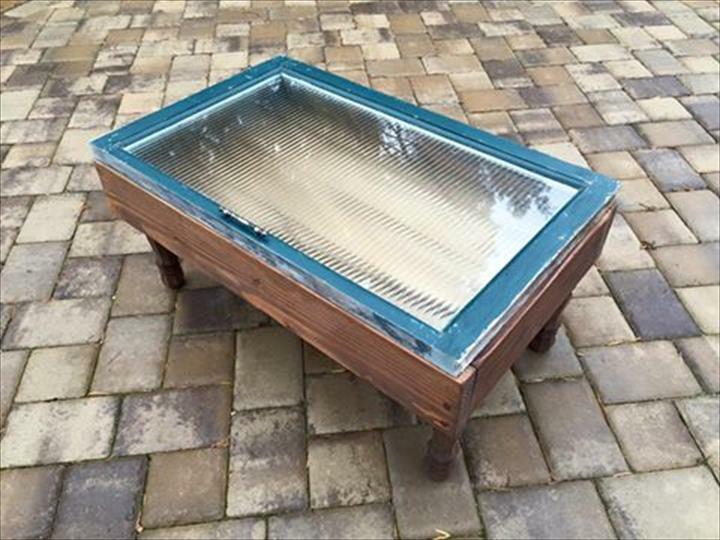 You can make this DIY pallet and old window coffee table using the old glass window and the repurposed pallets to gain this innovative looking pallet coffee table for your living room. Pallets have been brought in use to install the basic structure of the table having a table top and the legs. And the glass window has been used as a cover up to the table top revealing a lot of space for your utilities when lifted up. A brass handle is inserted on the window glass to lift it up nicely and conveniently. Stained in chocolaty shade the table looks nothing less than a vintage beauty piece in its charm and character. Coffee tables are the most experimented items from the pallets and by the pallet lover and this one also falls in the same category which have been yielded from pallets and an old recycled window glass. 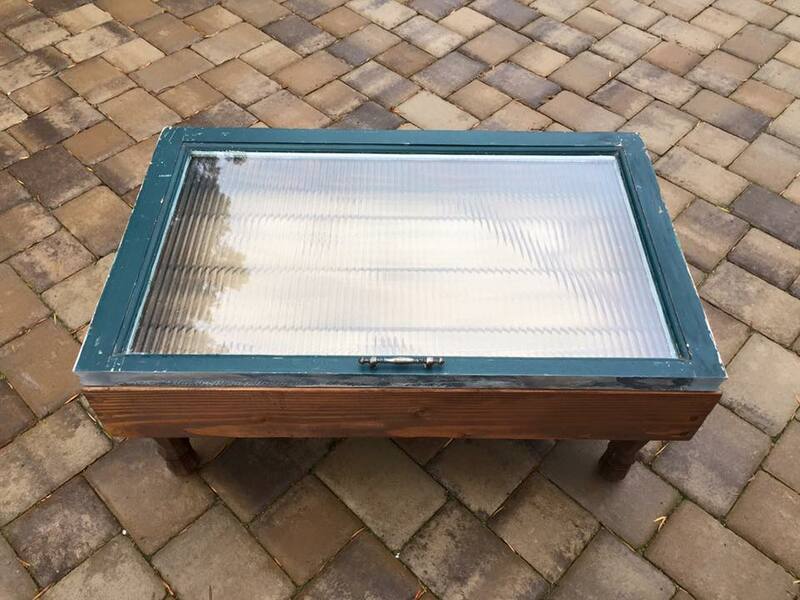 The glass window of the table is lift able and reveals a lot storage space inside to hold and house things like books, magazines and other knick knack stuff you would need a support to make it stuck when lifted up. The pallet part of this coffee table has been painted in brown choco shade while the edging of the coffee table has been stained in blue color which really makes the table a piece of rustic and shabby chic decor.